Dr. Hardeep Dhindsa provides top quality care for his patients in the Reno, Nevada area. Dr. Hardeep Dhindsa's vast experience from across the globe allows him to diagnose and treat many different eye diseases and conditions. Visit Dr. Dhindsa's practice HDRetina Eye Center and allow him and his staff help you see clearly again. Wait time was worth it. Everyone here was on the same page; patient first. 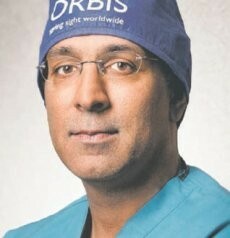 After seeing Dr. Dhindsa I felt he was the heart that reflected to to all that served his patients. I know that there is usually a long wait time at this appointment, but it is a small price to pay for the excellent care and treatment this doctor and his staff provide. My first visit was an emergency and the doctor and staff stayed after 5:00 waiting for me to arrive. Awesome! Everyone in the office was kind and helpful. Dr. Dhindsa was great! But the 90 minutes waiting in the outer waiting room before was surprising. The whole "procedure" time was about the same as the waiting beforehand. Love doctor understand about the want. Dr. Dhindsa went above and beyond for me. I needed surgery right away so he opened his office on Christmas eve and Christmas day for me! The staff is extremely kind and Dr. Dhindsa is very genuine. I will recommend him to antone who needs help in this field. Awesome, great staff. Super service. Dr. Hardeep Dhindsa is great. Sylvia is awesome at her job; very professional, excellent at what she does. Great experience from beginning to end. The staff is great and so is Dr. Hardeep Dhindsa very professional and knowledgable doctor. The wait in waiting room was great. But the windows stink need new ones.